I was feeling a little worse for wear today (thanks for those birthday shots and cocktails guys!!!) and wanted something quick and effortless. 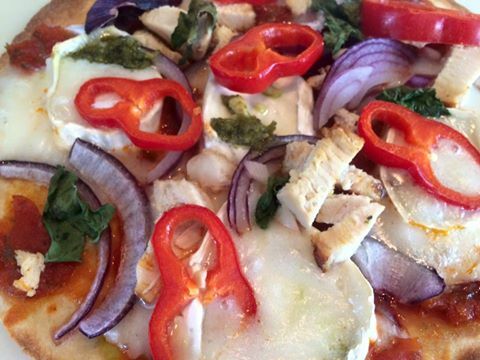 Let me rephrase that – I wanted pizza. Ideally I would have called Domino’s and begged them to plunder me with gluten free pizzas. But that’s far too expensive and not the best option for my poor, ever so slightly hungover body, so I raided the cupboards instead. I found a pack of BFree wheat and gluten free wraps – bought from Asda – and got my thinking cap on. These could be the answer to my pizza problems! Topped and ready to go into the oven. A quick whizz through the fridge later and they were topped and in the oven in a matter for five minutes. And five minutes later they were being swiftly gobbled down!! 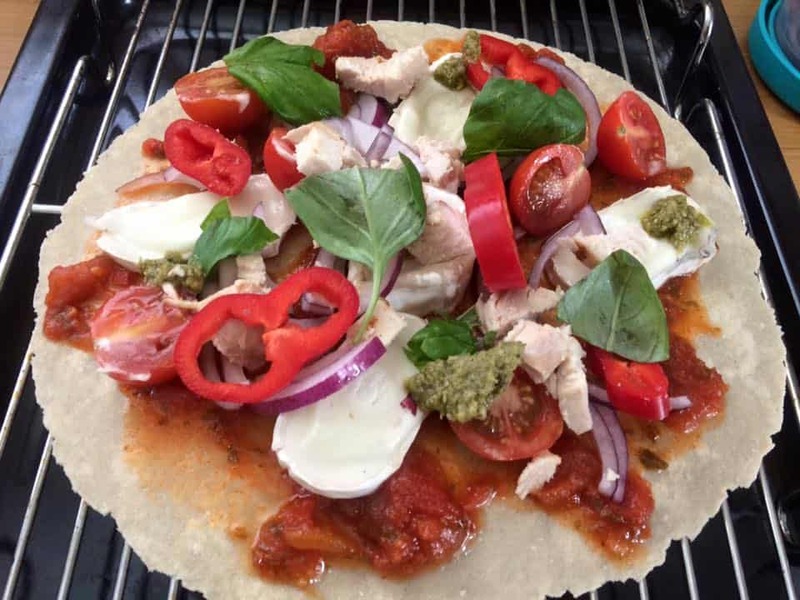 Because I used wraps it means these are much lower-carb than your usual, stodgy gluten free pizza base. I used goats cheese because I’m trying to avoid cows milk (makes me so bloated – does anyone else find that??) and a load of veg to try get some goodness in me. Our of the oven and ready to eat! 1 tbsp tomato topping – I used Loyd Grossman’s tomato and chilli sauce, because I was feeling lazy! goat’s cheese – I used Lidl’s Petit Chebra, it’s so good and so cheap! Add the toppings to the wrap and bake for 5-7 minutes. Remove and enjoy! 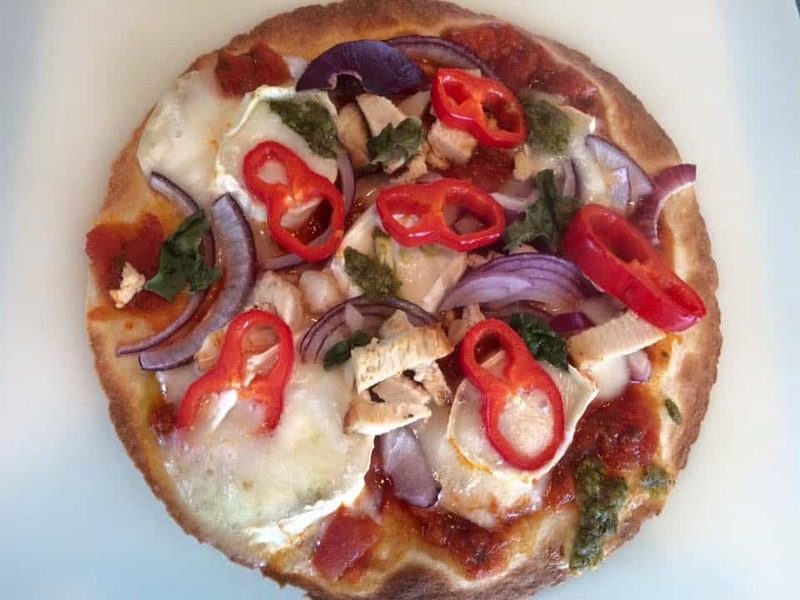 It really is that simple to make an easy, gluten free wrap pizza! What would you top yours with? Let me know your suggestions by commenting below!